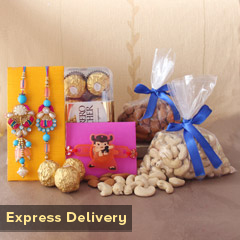 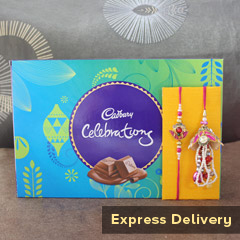 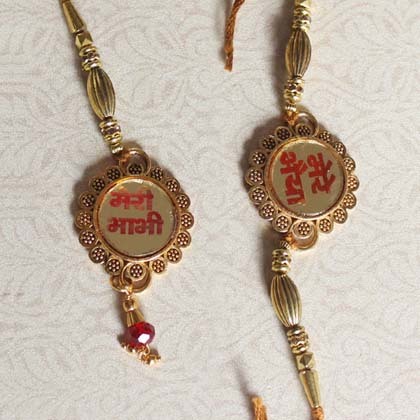 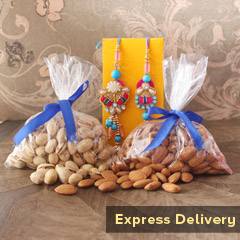 This is one of the cutest Bhaiya Bhabhi Rakhi set that we have brought forth you to shop online. 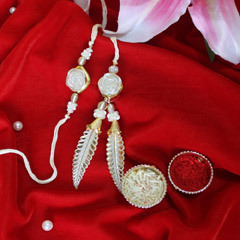 It is intricately crafted and designed using pink and off white net in floral pattern design with little use of pearls and beads. 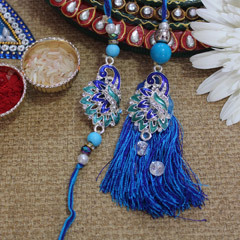 For adorning wrist of Bhaiya Bhabhi, it’s an excellent Lumba Rakhi Set to make choice for.